Beauty is in the eye of the beholder. At least that is the old adage. I think beauty is less debatable when the subject matter is successful investments. There is an art to investing. There is a balance of risk and opportunity. You want to always be careful with your money but you also can’t get too comfortable and forget it’s a gamble. But keep the odds in your favor. You can play with the big dogs but play smart. That means knowing your limits, knowing when to fold and knowing when to bluff. 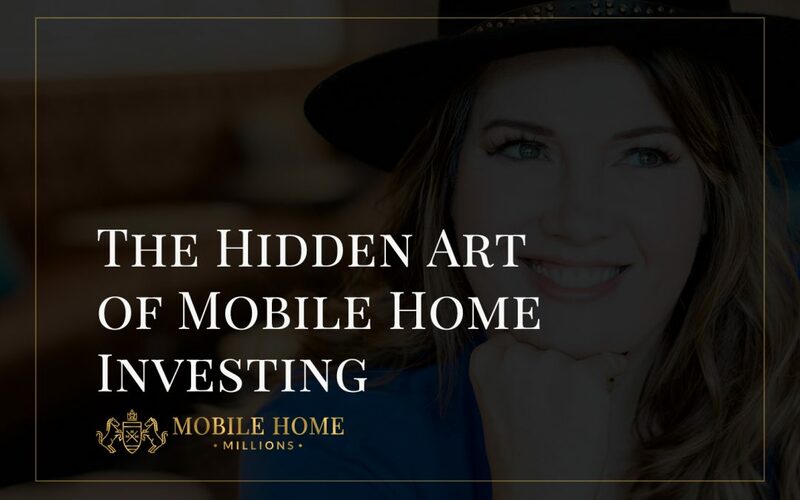 There was a time when I was new to mobile home investing, had not built up the level of capital I now operate with and acutely felt the loss of every penny and every costly mistake. When you invest in mobile homes, the reward is great but having a good business plan helps you not be waylaid by the hidden costs. And it will serve you well to always have a fallback fund for unexpected issues. But that fund has to be a manageable amount that won’t break the bank. What are some of the issues that can ruin the profit on a mobile home investment? Simple. Unexpected repairs are huge. If you come across costly damage such as mold or electrical issues, structural issues and so on, you could come out of pocket significantly and when fixing these issues you may eat away at your return on investment as the buyer may not pay extra for an issue that was fixed that was expected to work anyway. That is why you need a healthy margin when determining how much you will pay for a mobile home you plan to flip. Especially when starting out, it helps to bargain hunt a great deal on the purchase price of the home. You will find it pays to be thorough, so don’t skimp on the inspection and be sure to get bids on the work. Also, have an idea of your future buyer and the desirability of the area. All of this adds up to a masterpiece when it comes to the art of investing. I encourage you to register for my upcoming LIVE webinar about How To Easily Buy & Sell Mobile Homes with No Money Down And No Credit Needed – register for free here!